The answer is a simple, probably not. Even if you’re a complete apologist for The Sword, it is undeniable that this record is highly unbalanced. It’s quite apparent more care is given to the performances of the tracks from their latest album ‘High Country’. Old fan favorites like ‘The Horned Goddess’ and ‘Tres Brujas’ get a seriously half-assed vocal treatment. But wait! That’s not the worst, because then you flip to tracks from ‘High Country’ and it’s almost as if they’re being performed with greater interest than works from previous albums. It’s almost as if The Sword has a vested interest in overshadowing their old material with their newest work; and not in the sense that they’re simply promoting their new work. It’s clear their classic material is something they’d like to move far past from. It’s not just a matter of taste and preferring one era of The Sword over another, even if the record opened up with J.D burning copies of the first three The Sword records and announcing the disownment of their old material, it wouldn’t be a problem if the record was actually good. The spotty performance quality on this record is overbearing; it’s not just a matter of them “sucking”. 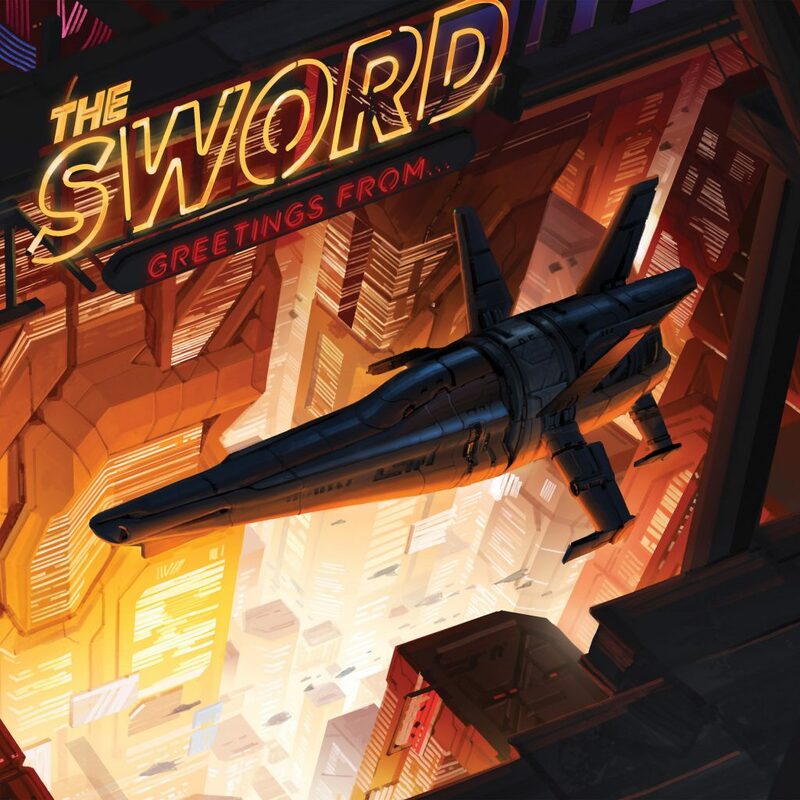 They don’t, The Sword is a very talented band with talented musicians; yet this record is performed with a general flatness and lack of overpowering energy that it becomes forgettable AS you listen to it. Live records are supposed to be the studio material on steroids, yet I feel the complete opposite when listening to the live material of the first three records compared to the studio album. The high points of this record are the tracks from ‘High Country’, which is strange because they’re performed with the same energy as the old material tracks. I don’t want to make conclusions for you, but the dots connect, The Sword is a watered down version of their old selves. The ‘High Country’ tracks are performed with quality and even the mumble vocals of J.D break through, yet they aren’t “turning it up to 200%” for the newer material. They’re playing with the same energy and the music just happens to fit the lower-energy incarnation of the band. There is also ZERO representation for ‘Apocryphon’, extremely strange given that record broke The Sword through the mold of stoner metal into a more “southern rock” that still managed to have strong appeal with fans of the older work. Now it’s obvious that The Sword has put all their die into moving into a harder version of Z.Z Top; bands evolve and I get that, but you don’t see Iron Maiden performing ‘Charlotte the Harlot’ like they don’t want to be onstage. Yet you have The Sword playing their older material like they’d rather be playing their ‘High Country’ tunes and it creates for a terribly unbalanced record. Phase out your old material, that’s fine, but don’t do it like The Sword and perform your old tunes with a palpable hint of apathy. Yet I find myself wondering exactly what’s going on when the new material is performed with the same energy and you realize this is probably just what The Sword is now. Have they hit a wall? Do they want to abandon their old sound so badly it permeates their souls and comes out in their performances? I need to be clear that this isn’t a criticism of their new material, ‘High Country’ is just fine as a record (‘Low Country’ is not a record, it is a glorified B-side). The obvious problem is that The Sword is not the same as they used to be, whether they’ve slowed down after a decade of playing music or have become massively jaded, it shows in their music and it is bad. Listen to the bonus tracks from ‘Apocryphon’ and tell me that The Sword isn’t neutered. Listen to how they perform ‘Barael’s Blade’ live on ‘Apocryphon’ and then listen to ‘The Horned Goddess’ off of ‘Greetings From…’ and tell me it’s the same band. They might be the same dudes, but it’s clearly not the same band. Also, is it a coincidence that The Sword changed so drastically over the course of two albums after their original drummer, Trivett Wingo, left after the third record ‘Warp Riders’? No, it’s not a coincidence; people like to lowball drummers when it comes to the grand effect they have on a band (not counting obvious legends), and the personnel change with The Sword highlights that to great effect. The energy coming from the band is completely different, listen to the energy Trivett brings in the live version of ‘Barael’s Blade’. It’s astounding, it’s over the top; it’s The goddamn Sword. But now? This isn’t a knock on Jimmy, the current drummer of The Sword, but it has to be noted that The run-of-the-mill Sword came after the departure of the larger-than-life drumming of Trivett Wingo. This isn’t fanboyism, it’s calling it for what it is. The Sword has no energy, whether it all went with Trivett or their age, it doesn’t matter. They have NO energy, so much so that they couldn’t even finish writing out a full album title for ‘Greetings From…’.